How Bob and Bobbie Kelly can help you navigate through your next real estate decision. Buying or selling a home is a very important time in your life. The selection of the right people with whom you choose to work can have a pivotal effect on the outcome and your future. Accessibility, expertise, dedication and honesty are qualities to look for in a realtor. 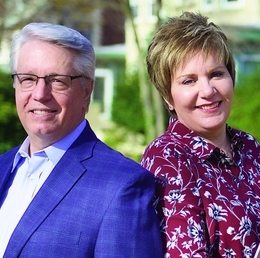 Husband and wife Bob and Bobbie Kelly, of Coldwell Banker Preferred in Moorestown, have over 15 years of guiding people through some of their most important real estate decisions. Bob’s unique background teamed with his wife Bobbie’s talents for staging and marketing make them a two-for-the-price-of-one combo. When sellers work with the Kellys, they receive at no additional charge numerous specialty services to ensure an efficient and successful outcome. These services include extensive research to arrive at the “Right Pricing Strategy,” a home staging consultation by a certified home stager, professional photographs, a 3D fly-through virtual tour, measured floor plans and professional home flyers, all designed to give your home maximum visibility, to appeal to the broadest range of buyers and help you realize the most money possible for your home. 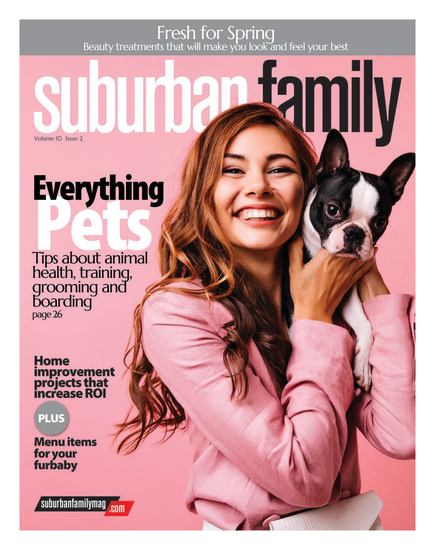 Suburban Family spoke with the Kellys about why they joined forces and what makes South Jersey a special place to call home. Bob, what experiences did you bring with you when you decided to become a realtor? Bob: I have reinvented myself a few times. Some were by choice because I felt I had gone as far as I could go with a career, and other times because the profession itself had changed. In my previous “professional life” I was a psychologist, and then for many years I was an IT recruiter with my own firm. When countless IT positions were relocated overseas, I realized I needed to make a change. My decision to become a realtor came when I pondered the notion that my strengths lie in helping people make some of the most pivotal decisions of their lives. Whether on a personal or professional level it seemed natural to be able to help people find their right place to settle in and be comfortable. You and your wife work together as a unique team.Why did you decide to join forces? Bob: Bobbie’s forte has always been sales promotion. When we met she was working in the visual merchandising industry. After raising our twin daughters, she decided to re-enter the workforce by becoming a certified home stager and owning her own business. It seemed a natural progression to merge our two professions and to be able to offer people something more. Bobbie: In the course of my staging career I realized that the success of selling properties is a three-way partnership between the realtor, the stager and the homeowner. If any one of those allies does not fulfill their mission, most times it will take longer to sell a property and everyone realizes less money. A realtor needs to have excellent photos, an aggressive marketing campaign and follow-up. A stager needs to not only make the home look its very best but to teach the seller the psychology behind selling. This leads to the seller’s mission of helping the cause by keeping it looking perfect for all showings, making the home readily available and not interfering with the efforts of the showing agents. What can you tell people about South Jersey? Bob: South Jersey gets a bad rap. Everyone who is not from the area thinks its residents are either a member of the Sopranos or the Jersey Shore clan. But from south of Princeton lies a region filled with horse farms, lake communities and towns reminiscent of times long gone. Voorhees, Cherry Hill, Marlton, Medford, Haddonfield and Moorestown are considered bedroom communities of Philadelphia. Many work and play in the city and live in South Jersey. We have the best of all worlds: proximity to major cities like Philadelphia, Washington, D.C., and New York, an hour away from great beaches and for the ski enthusiasts we are one to two hours from the slopes. Plus the school systems are first rate. But South Jersey is about the people who live here. They still have that “caring for their neighbors” attitude that can sometimes seem to be disappearing these days. We have had clients who follow a dream and move away to California or other interesting places, and very often return to South Jersey because they didn’t get the same feeling they had when they lived here. Clichéd as it sounds, there really is no place like home.